When she escaped Diablo Springs years ago, Gracie Beck swore she’d never return. 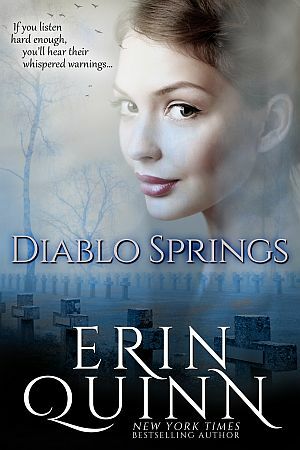 But all that changes on the night of her grandmother’s tragic death when Diablo Springs lures Gracie’s teenage daughter to its treacherous border. Fearing the threat of that haunted place and the danger it poses to her daughter, Gracie races to the rescue—only to find herself trapped in the turbulent current of a hundred year old curse and the menacing spirits that have terrorized the town’s dusty streets for a century.